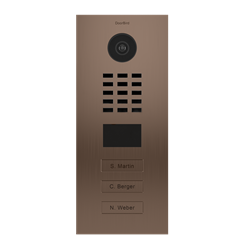 The DoorBird D2103BV is a multi-tenant IP video door intercom with support for 3 apartments, with 3 call buttons. 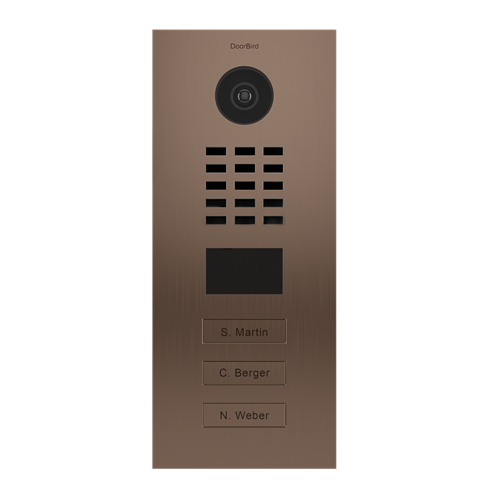 Each call button can be assigned to one or more user(s) to receive a push notification on the DoorBird app when their respective call button is pressed. Motion based alerts may also be sent for proactive notification and security.